Harney Peak is centrally located in the Black Hills National Forest in western South Dakota. The Black Hills are a popular destination with a wide variety of places to see. In addition to hiking Harney Peak, popular things to do in the area range from high mountain carvings to underground caves. Harney Peak granite is the canvas for both Mt. Rushmore and Crazy Horse rock carvings, located not far from the summit. Underground formations are popular and can be explored at Wind Cave National Park and Jewel Cave National Monument. 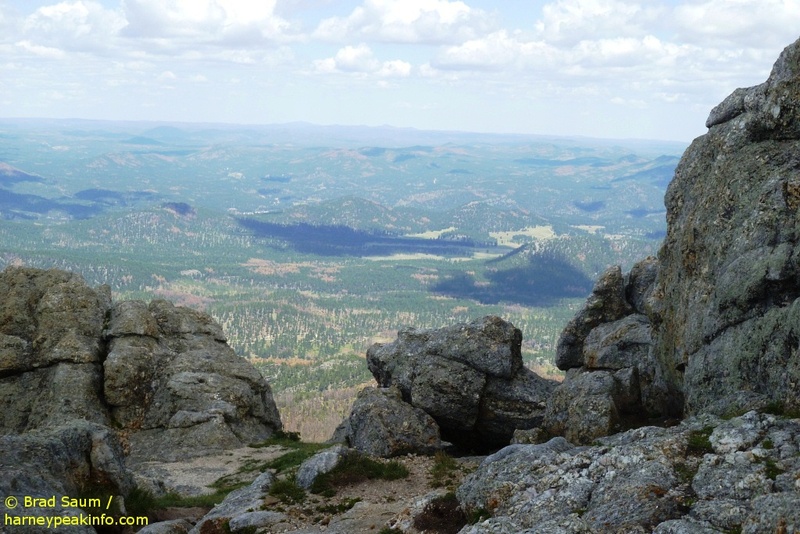 The natural beauty of the Black Hills is a varied terrain ranging from Prairie to mountains. With well over a million acres of protected land surrounding Harney Peak, the Black Hills is a diverse outdoor vacation destination. In addition to Sylvan Lake, where the hike to Harney Peak begins, Custer State Park offers especially unique scenic roads, and excellent opportunities to see wildlife. Parks & Monuments – There is a high concentration of national and start parks in the area around Harney Peak, making a destination vacation very inviting. Cities & Towns – Shopping, dining, and lodging is available in and around the many communities scattered throughout the Hills. Black Hills, Badlands & Lakes – Black Hills, Badlands & Lakes Association is a private non-profit organization dedicated to tourism promotion in the Black Hills. Black Hills Tourist Information – A directory of tourist information for the Black Hills of South Dakota.